Looking for something challenging? I dare you overcome a jet ski course for super jet and wave runner. Then chill out at night market. This is the 1 jet ski class in that you don't have to rent jet ski and other equipment separately. I CONFIRM! You will have time to make Thai and international friends. Get yourself familiar with loft style academy in comfortable atmosphere served promptly with unlimited cool soft drink. Study about jet ski, safety and traffic rules. In this theory section, the trainer will introduce you about jet ski which specifically focusing on super-jet followed by waverunner, traffic rules, and safety. There are various menus to serve you dish by dish such as Pad Ka-Prao, Pad Thai, American fried rice and so on. ** without extra charge. After boost up the energy, let's change the uniform and stretch your body to avoid muscle injury. We have prepared stylish life jackets for you. This is to make sure that you will get really nice photo taken with the vehicles. The challenge takes place here! Collect tricks that the trainer gives you, find body balance, and take off! Say good bye our new friends but keep in touch. Change clothes and don't forget to give the staff line ID or Facebook for they can share your photos back home. Are you feeling exhausted? You can cool down in the academy swimming pool. I can bring you to a massage spa which is not far from place. This is only additional program, or we can direct to the market if you feel hungry already. Do you know there are plenty choices of food stall, restaurant, first hand and second hand stuff to select ? Enjoy free concert held occasionally. There are a meat grilled boot and Lenk -sassy soup I recommend. I will deliver you to the hotel, airport, or bus terminal. Hope you enjoy and this shouldn't be the last goodbye! 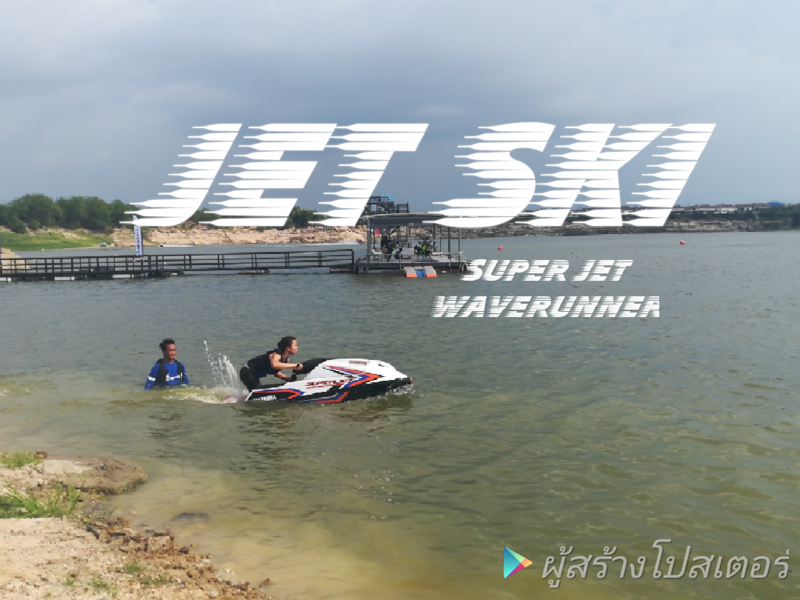 You can find a lot of extreme parks for cable and wake board but this is the only one jet ski park in Thailand that comes ready with JET SKI, TRAINERS, and SAFETY EQUIPMENT-all in one. You shouldn't regret. This program is held only one time a month! Towel, snorkeling suit, shorts are fine! Complete Chonburi Package: Muay Thai Class, Massage & Street Food on the Beach!